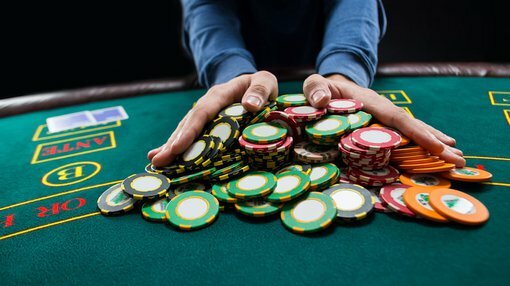 Segue Resources (ASX:SEG) is so convinced by it lithium chances at its Gascoyne project that it has applied to almost treble the amount of land it holds at the play. Releasing a note to its investors yesterday, SEG said that initial fieldwork at the project had been done – with 65 rock chip samples taken confirming that the northern part of the project is fertile and holds the potential to for lithium deposits. SEG said key metrics including magnesium/lithium ratios meant the northern part of its existing licenses were “unequivocally fertile”. It has centred in on one key geological feature, the Thirty Three Supersuite – which SEG said had key comparisons with North Pilbara deposits including the Wodinga and the Tanco pegmatite in Canada. Based on the rock chip results, SEG has applied for 707sq.km of additional licenses in the area – potentially bringing its holding in the area up to 1100sq.km. It said the new area would cover the majority of the Thirty Three Supersuite and the prospective area identified. The new area will be the focus of SEG’s next phase of exploration at the project, which is due to start in the third quarter. SEG managing director Steven Michael said the exploration work was a boon to the company. 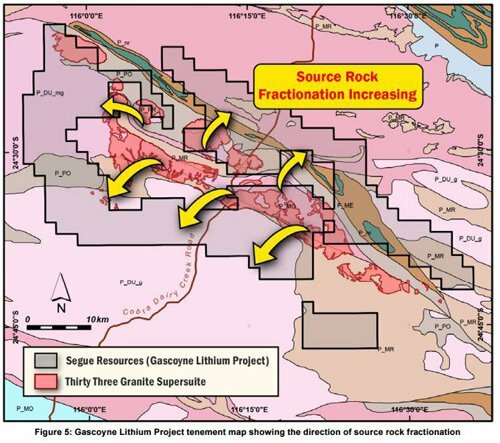 “Segue has proved that the Thirty Three Supersuite is highly fertile for lithium-bearing minerals,” he said. Back in March SEG entered an agreement with Next Advancements Pty Ltd to acquire a 100% stake in three exploration licenses in the Gascoyne region of WA. It then entered a joint venture with Zeus Resources Ltd (ASX:ZEU) to explore at exploration license E09/1618 – which is next door to the Next Advancements licenses. SEG is getting into lithium as an accent to its nickel play in the Fraser Range, also in WA. Dubbed the ‘Plumridge Project’, it’s a collection of eight exploration licenses covering 2250 sq.km in the Fraser Range, and is just 150km north-west of the Nova and Bollinger nickel discoveries which famously put Sirrius Resources shares on a tear. Prior to a joint venture with MMG Limited (ASX:MMG) forming in September last year, Segue had completed several surveys over the project area.